It has been eight years since Kate Middleton married into the royal family, and many wonder how far she has come when it comes to building a good rapport with Queen Elizabeth. 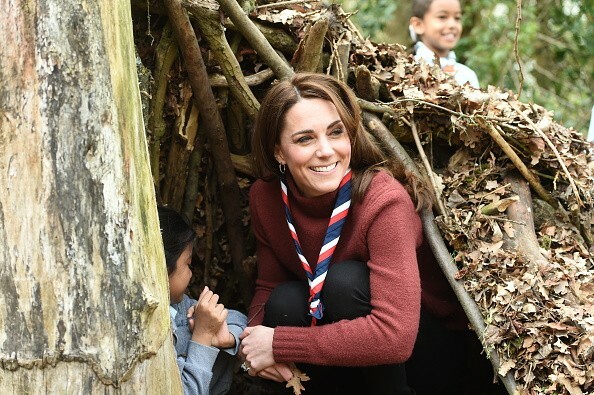 Compared with Meghan Markle, who has been a royal for only a year, Kate’s public interactions with the monarch seem more limited. The truth, however, is that there is more to their relationship than meets the eye. The first time Kate met Queen Elizabeth, she and Prince William had been in a relationship for five years. During their engagement interview, Kate revealed that she had quite a great first encounter with the Queen. “I first met the queen at Peter Phillips and Autumn Philipp’s wedding,” Kate said. “It was in amongst a lot of other guests and she was very friendly,” she added. Although it may not look like it, the Queen has mentored Kate since she became a royal. Her Majesty treats the Duchess of Cambridge the way a granny treats a daughter-in-law, teaching her things that only a great grandmother like her can teach her. In fact, an insider has revealed that as soon as now, Queen Elizabeth is already training her to become England’s future queen. “She’s really taken Kate under her wing,” the source revealed. “The two of them will often spend hours discussing royal life and the future of the monarchy,” the source added. Kate’s first solo outing with Queen Elizabeth happened last month, and many believe it was part of her training as the future queen. “The Queen will give intense one-on-one training to Kate about taking on the crown,” the source said, adding that it has taken a long time for the duchess to get where she is today, but she is ready. Since Prince Charles comes before Prince William in the line of succession, it will take a long time before Kate takes on the role that the Queen has been preparing her for. Currently, she keeps herself busy attending royal engagements and taking care of her children as she is determined to create a healthy balance between her personal life and her future role as queen.